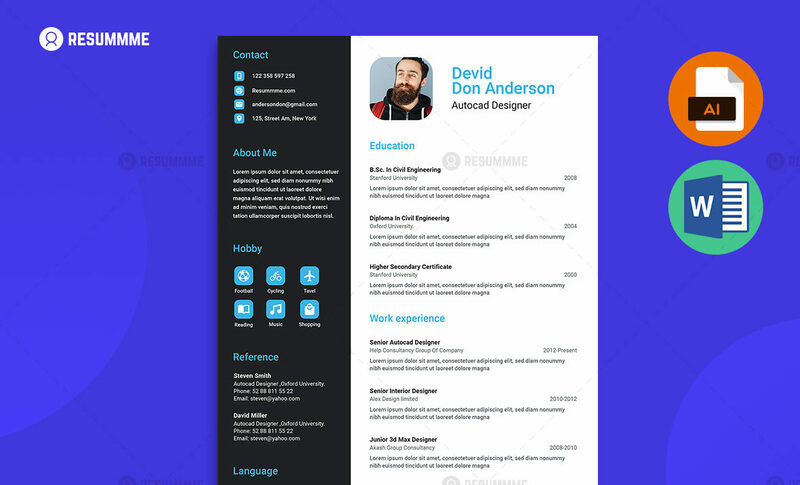 Material resume template is well designed creative and unique resume template that will help you to improve the showcase of your resume template. This resume template is available in .AI and .EPS format for free. Premium version will be available soon in MS Word Docx and Doc format. The application list you can use to edit this material resume template. -You can use Microsoft Word, Adobe Illustrator Application to edit and customize by your self. – You will get .Doc, .Docx (Coming Soon), .AI and .EPS and of course Docx format for this material resume template. This resume template is also designed for A4 size paper. You can easily print this template by on standard size A4 paper.